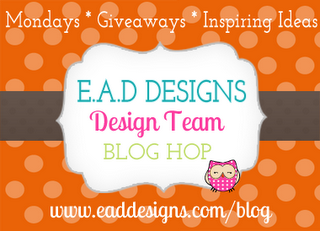 It's Monday again so that means it's time for another EAD Designs Monday Blog Hop. I've had such a fun time creating cards with their stickers this month. I'm a little sad this will be my last post with EAD Designs. They have such a friendly and talented design team. I will miss working with them. 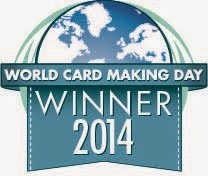 But, I will definitely be creating with with EAD designs stickers. 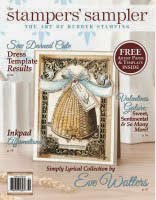 It's so fun and easy to create great projects with their stickers!! 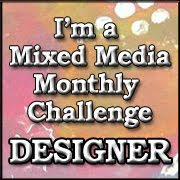 Be sure to leave a comment and check out the other designers blogs - prizes will be given!! For this card I used a fun and retro Stickerz set called Groovy. 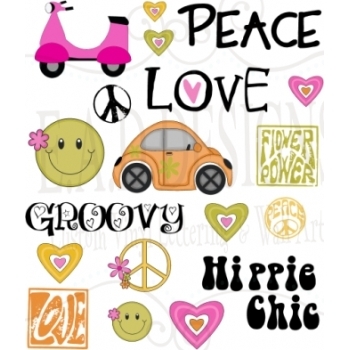 This set has also has more groovy and cute stickers - you can see them below. I thought the colors of the polka dot paper matched the stickers perfectly. I used the larger smiley face chic and the smaller hearts on the top of the card. I think this card would be perfect for a tween or teenage girl. 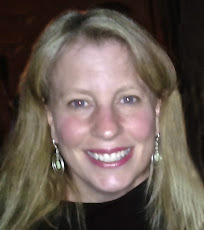 If you came here from Shellye's blog then you should move on to Amy's blog. But, if you just stopped by to see me and weren't originally on the hop click here to go to the EAD Designs Blog to see all the details of the hop and start from the beginning - you don't want to miss anybody. Be sure to leave comments along the way because one lucky person will win some free EAD Stickers!! What a fun set this is! I love your Groovy Creation! Very cool card--I like the polka dots. I agree - great card for a girl! I'm going to get my daughter to make some for her friends! so cute, bright and fun!!! This is so adorable!!! Love the papers and of course the stickerz!! Thanks for being such a GREAT Guest Designer this month!! Your projects have been awesome!! !